This material is the first in a series of articles devoted to CFTC reports education, the use of which can significantly improve the quality of your trades, help you figure out large traders’ actions and better understand the principles of price movement. What does the CFTC regulate? There is no secret that movements occurring in financial markets largely depend on actions of large participants, professionals, who often have the opportunity and desire to influence the market situation. In medium- and long-term trading when positions are held for weeks or months it is important to understand the direction in which large players hold their positions, whether they increase them or, instead of this, gradually reduce them. The price movement chart does not reflect this information and its form is a consequence of market participants’ actions. CFTC reports demonstrate the reasons for the formation of price movements. This additional dimension in analytics helps a trader make more informed decisions about the reasons and possible further price movement direction. In comparison with small traders large participants always have information that is more valuable and express their opinion about the market when selling or buying. As a result, CFTC reports are priceless. Moreover, as experience shows, most traders do not take them into account in their trading practices because they do not know about their existence. CFTC statistics will help understand major players’ opinion on trends that prevail on Daily and Weekly timeframes. Private traders have the opportunity to see the statistics of large speculators’ trades for most financial instruments (commodity and currency markets, stock indices futures). Before talking about large market participants and the logic of their conduct, it is necessary to mention the organization that collects information about the actions of professional traders. This is the Commodity Futures Trading Commission or CFTC. CFTC was established in 1975 to protect the interests of market participants. The emergence of the Commission is the part of the process of financial markets regulation which entered the active phase after the stock market crash of 1929. 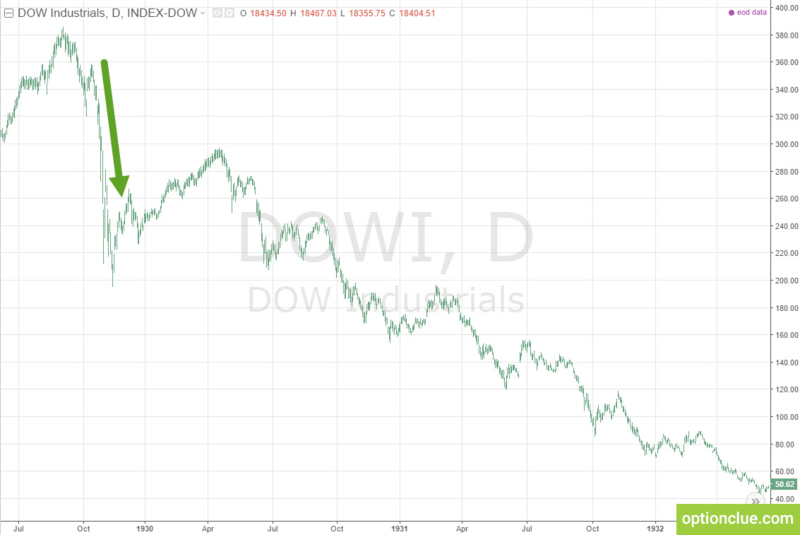 The stock market fall contributed to the beginning of the Great Depression: by 1932 Dow Jones Industrial index had decreased more than 88% from the highs reached in 1929 and unemployment rose from 3.2% to 24.1%. Economic prospects form the investors’ opinion about financial markets and, as a result, influence prices. At the same time, the events of October 1929 sample prove that there is also an opposite effect: extremely dramatic changes in prices in financial markets can worsen recession in the economy. Financial markets have existed for hundreds of years, but the level of protection of traders’ and investors’ interests in North America today is one of the highest. The existence of CFTC, as well as the transparency of information on trades of large traders, confirm this statement. 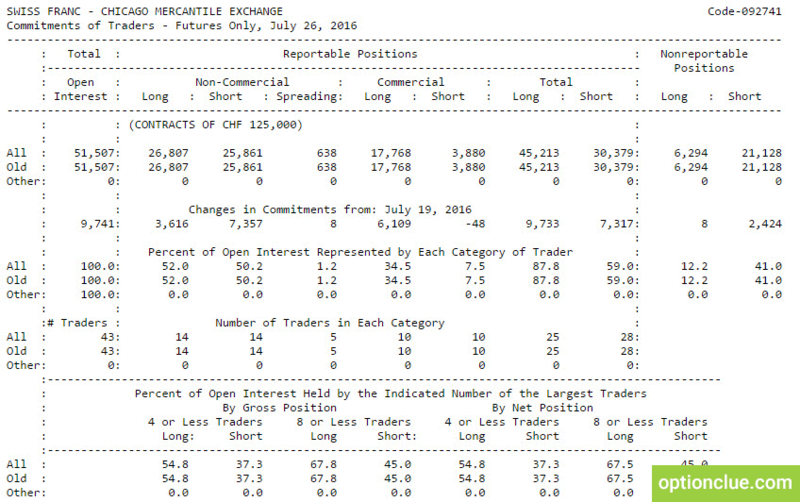 CFTC regularly publishes major participants’ actions statistics in the form of reports called COT (commitment of traders reports). They are updated once a week on Friday after the close of the US markets. 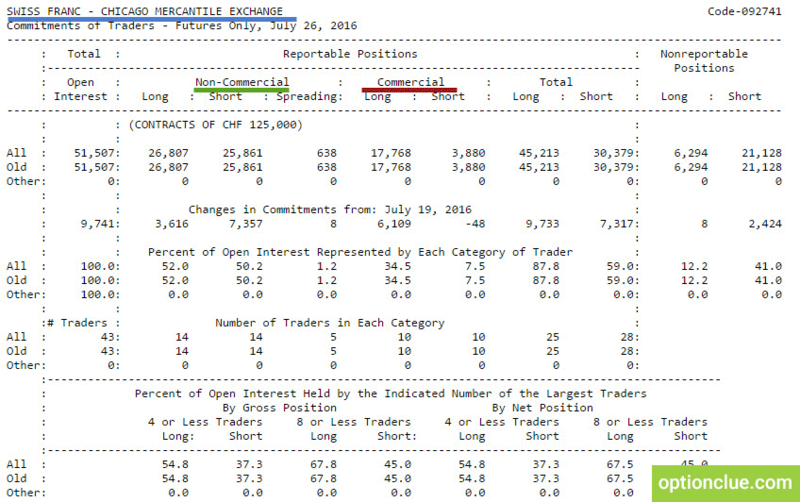 You can see below COT report in the format presented on the CFTC website. I must note that the text version of the report is not applicable in a trading practice since it is a brief information about traders’ transactions for one week. We will be interested in the dynamic pattern of traders’ positions for longer periods. In this case, this statistics has a practical value. The Commodity Futures Trading Commission collects information on traders’ transactions that are carried out in regulated US futures and options markets. 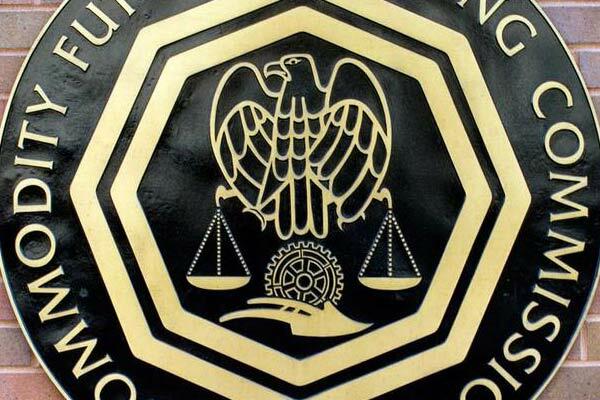 Information on transactions that are carried out in the stock or over-the-counter markets (the best example is Forex) is not available in CFTC reports. 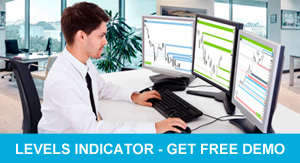 At the same time, COT reports can be useful when trading in any financial markets. Today, when everybody has a supercomputer in his pocket, markets are much more interrelated than 5-10 years ago. 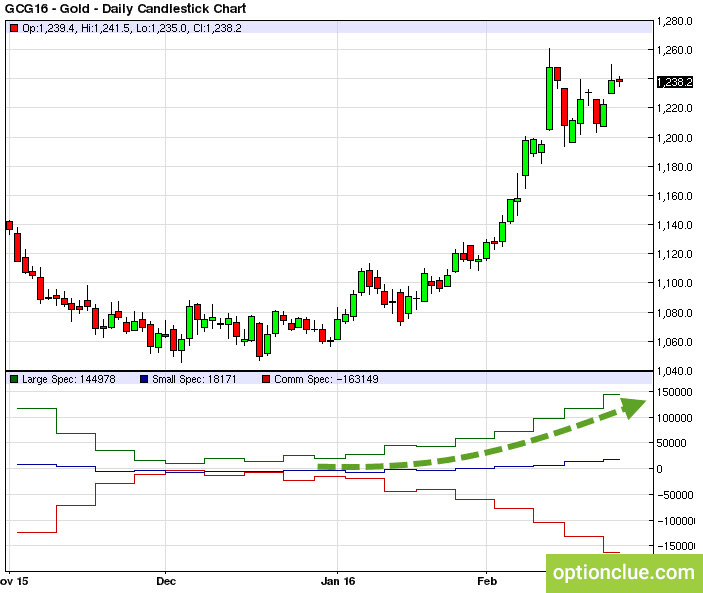 If traders in the US market buy gold futures, then most often gold price is also rising in the spot market. If spot rises, but futures doesn’t, there is space for arbitrage and prices quickly «equalize». Now we will move on to the discussion of the practical application of CFTC reports data and it will directly become obvious that this statistics is applicable to any markets, that is spot markets, stock and over-the-counter markets. If a financial instrument appears in COT reports, these data can be used to improve the quality of trading decisions. COT report is a table in the upper left part of which you can see the name of the financial instrument and the stock exchange on which it was traded. For example, the report presented in Figure 4 shows the statistics of the market participants’ actions on Swiss franc (marked with the blue line). The report emphasizes trades of two key groups of traders – speculators and hedgers (the columns are highlighted in green and red, respectively). Non-commercial are large speculators, investment funds, bank divisions associated with carrying out speculative operations in financial markets and other companies that strive to buy cheap and sell high. Commercial are hedgers, the second group of large players whose actions are often opposite to the logic of large speculators. Hedgers are market participants who actively sell during price increase and buy during periods of their decline. Most often, this group includes traders who insure risks associated with doing business in the real sector of the economy. Each of these groups is analyzed in detail in the second article of this cycle. COT reports also represent the positions of small traders, that are given in the column Nonreportable Positions (this information is in column on the right in CFTC report). They do not represent any practical interest, but very often it’s interesting to watch these participants. It may seem strange, but the logic of their actions in the market often differ from the logic of large players as small traders are more emotional and as a result lose money more often. Open long (positions to buy) and short (positions to sell) are indicated for each group of participants in the market. For example, value of 26,807 in the column Long Non-commercial means that at the moment of statistics collection on transactions of large market participants among professional speculators 26,807 long contracts were opened. At the same time, 25,861 short contracts were opened. Similar statistics is published for hedgers and small traders. Please note that this information would be absolutely useless if we could see only one CFTC report. If it is known that 26 thousand 807 long contracts from large speculators were recorded last week, this does not provide information about the major players’ opinion or possible prospects for this market movement. It is necessary to understand how the opinion of market participants changed in each period of time, what large speculators undertook, whether they increased long or short positions. I’d like to note that we will not collect this information on the grounds of COT text reports, but we will be able to analyze it in a graphic form. The chart above (Figure 6) shows an example of large speculators’ actions – professionals are increasing long positions in a rising market (highlighted with a green arrow). CFTC reports allow you to see the change in the volume of open positions of the largest traders – those who express their opinion about the prices of an asset when selling or buying it. 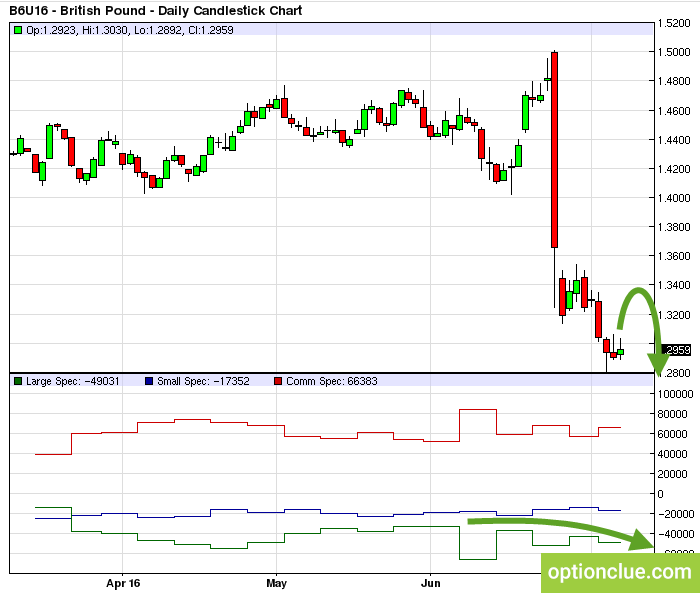 COT reports are an excellent tool for market analysis and can complement any medium-term trading strategy. Two key groups of participants are mentioned in the reports – professional speculators and hedgers. In the next article we will analyze in detail the logic of these participants’ conduct.